WILMINGTON — Clinton County Treasurer Jason Walt announced that the first-half 2018 real estate taxes payable on or before Feb. 14, 2019 are currently being mailed. The tax statements are being delivered via the U.S. Postal Service to property owners who are responsible for paying property taxes directly to the county. The tax bills are being printed and mailed by Smart Bill and are partially blue in color. Property owners who escrow with a bank or mortgage company will not receive a tax statement since those institutions are responsible for making payment to the county from their customer’s escrowed funds. Any real estate owner not receiving a tax bill should call the Clinton County Treasurer’s Office at 937-382-2224. Tax bills less than 50 cents will not be generated or mailed or need to be paid until such time when they exceed that limit. 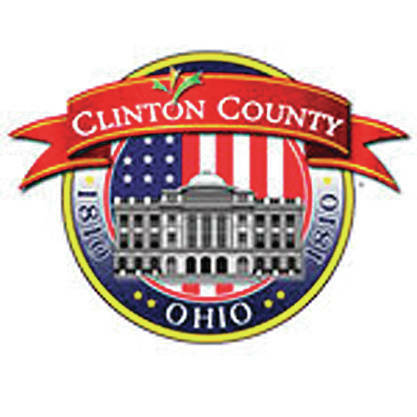 Questions about the valuation, the tax calculation, CAUV or homestead should go to the Clinton County Auditor’s office at 937-382-2250. Clinton County Treasurer’s office hours are 8 a.m.-4 p.m. Monday through Friday. Payments can now be made online at www.cctreasoh.com for a fee of $1 for electronic checks and a fee of 2.65 percent ($3 minimum) for credit and debit cards. Taxpayers can also mail their tax payments to 46 S. South St., Suite 205, Wilmington, OH 45177. Taxpayers can no longer make payments at Peoples Bank locations since Peoples Bank is no longer a collection agent for the county. First-half real estate tax payments being mailed to the Clinton County Treasurer’s Office must have a U.S. Post Office postmark of Feb. 14, 2019 or prior to ensure timely payment.